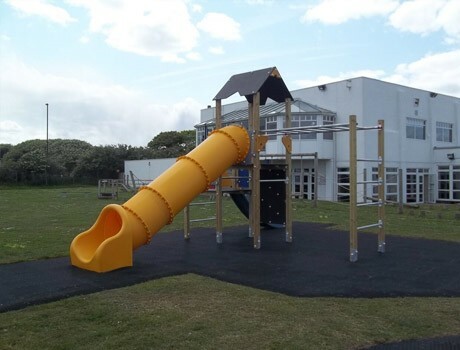 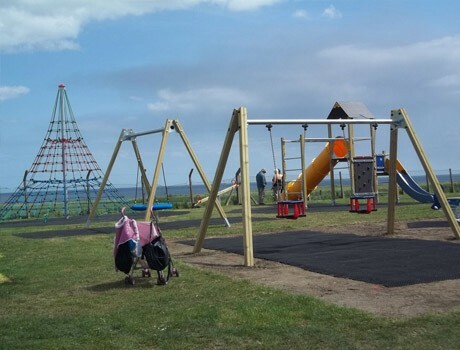 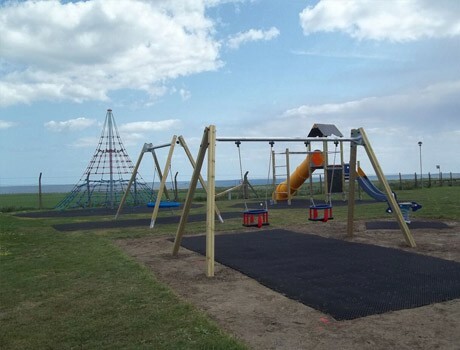 This project was designed and installed for Park Resorts at their Whitley Bay Caravan Park site on the East Coast. 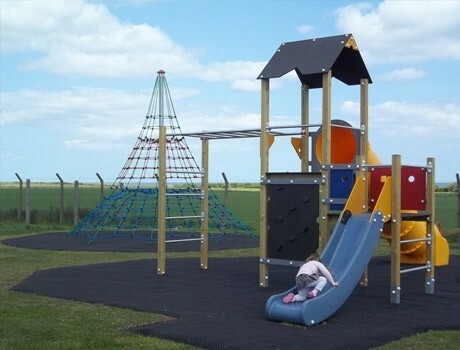 Designed to provide adventure play opportunities for 3 to 14 year olds, the outdoor playground equipment ranges from a toddler swing with cradle seats, to an activity space net which can be accessed by toddlers right up to teens. 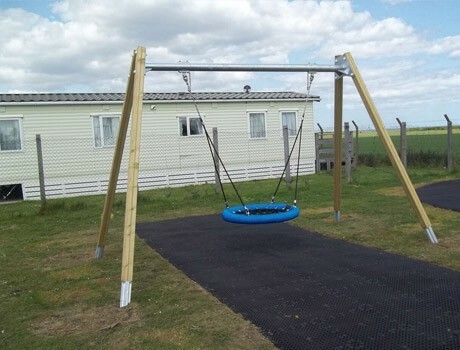 The basket swing provides a fabulous swing activity for less abled children as well as multi user fun for those wishing to swing on mass. 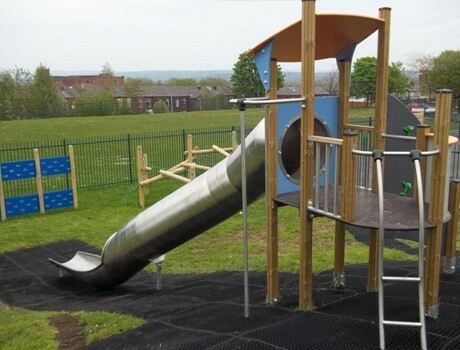 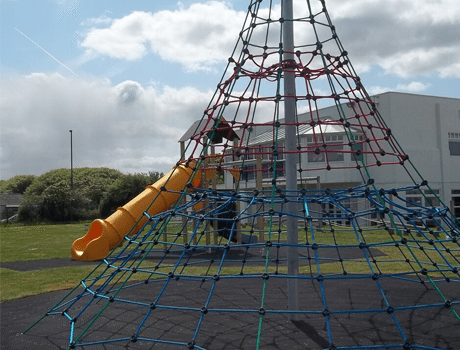 The multi use climber includes a vast tube slide as well as numerous climbing activities whilst the traditional seesaw provides the ever popular 2 way rocking fun. 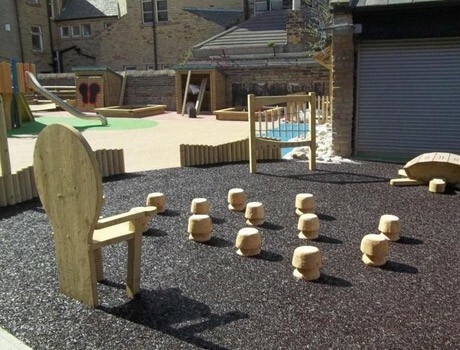 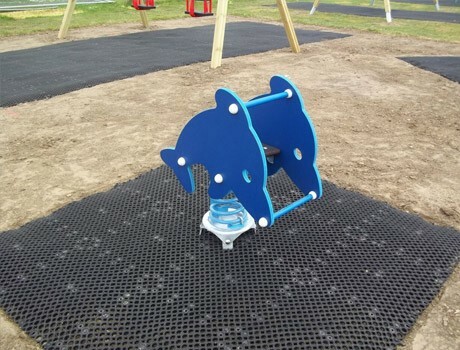 The playground equipment has been sourced from Kompan UK as the design brief from the client leant itself very much to this durable and versatile range of play equipment. 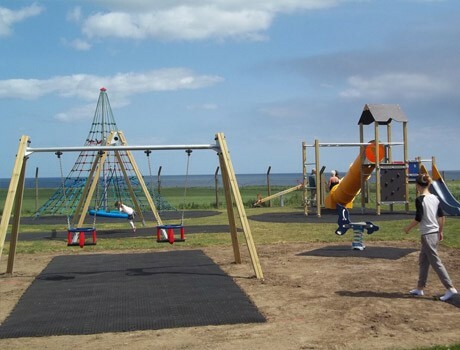 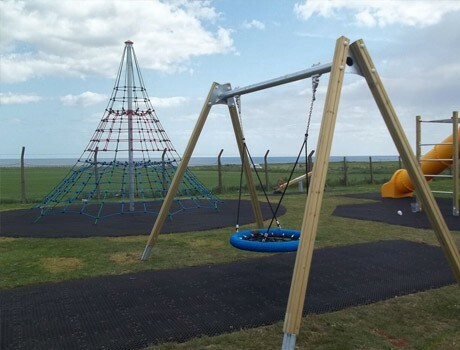 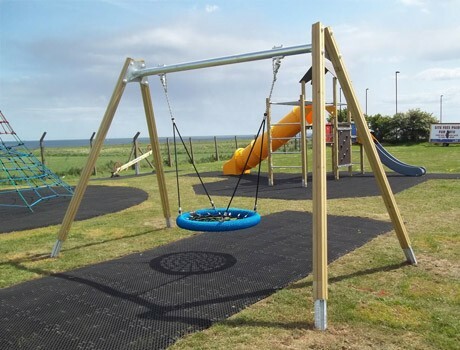 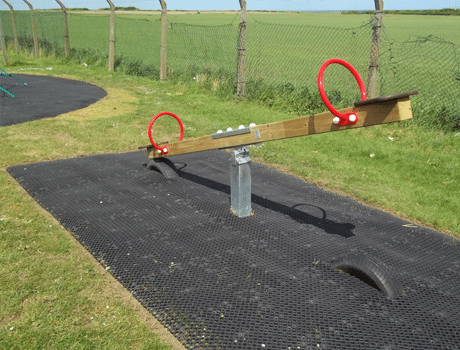 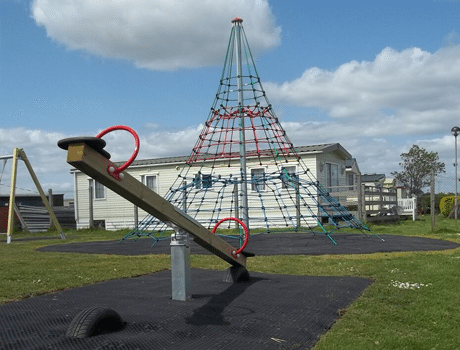 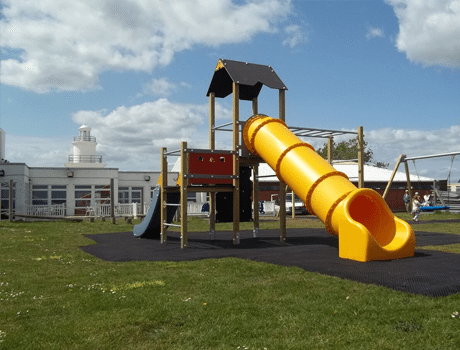 With the existing site being grass, the safety surfacing provided is grassmats to avoid extensive groundworks costs whilst providing a perfectly adequate safety surface function for the play equipment items.